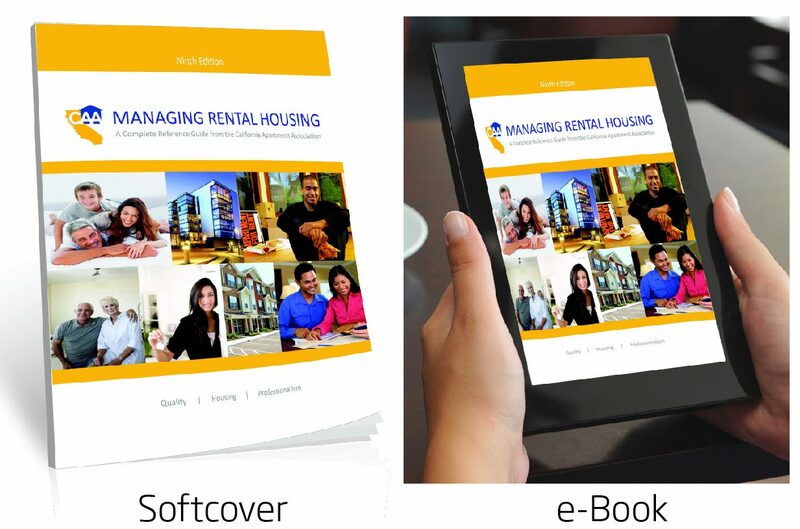 Both the Managing Rental Housing, ninth edition, e-book version for Kindles, iPads, tablets, laptops and most other e-readers and e-book enabled devices AND the softcover reference book are available at a special bundle discount price of $59.95. For the e-book only version of Managing Rental Housing, ninth edition, at the member price of $35.95, click here. For the softcover reference book, Managing Rental Housing, ninth edition, at the member price of $39.95, click here.